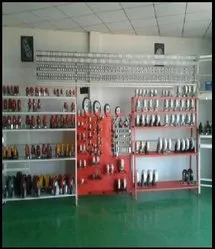 We, Shreyas Auto Parts, since 1997 have developed a state-of-the-art infrastructure, which is sprawling over a large area. There are various units in our infrastructure helping us to carry out the whole production process. Our packing department only uses the standard material for a complete safer shipment. Our warehousing unit is very spacious and well-facilitated. There are various units in our warehouse to store the products in a systematic manner. Owing to our quality and customers centric policy, we have garnered numerous customers in the market. Some of them are Emerson Power Network (India) Ltd., Deepak Auto Pvt. Ltd., Flash Electronics Ltd., Minda Industries Ltd., Jabil Circuits (India) Ltd. and SPM Autocomps (India) Ltd. Under the profound guidance of our highly esteemed mentor, 'Mr. Shriram G Jadhav (CEO)', we have achieved a top position in the industry. He is highly qualified and has many years of experience in the industry. Our team is highly experienced and has tremendous expertise in the respective field. Each of team members works in close coordination to achieve the goals of our organization. Apart from this, our team strives hard to manufacture as well as deliver a defect-free range of Castor Wheel Storage Rack Systems. We organize various workshops for our employees on a regular basis to keep them on the track of current market trend and innovations. We have constructed a spacious as well as world-class infrastructure, sprawling over a large area. The various units of our infrastructure help us to carry out all business related works in a smooth manner. Our units are manufacturing, quality assurance, research & development, warehousing & packing, marketing & sales, logistic and administrative. All the units are equipped with latest tools and equipment for a hassle-free working. 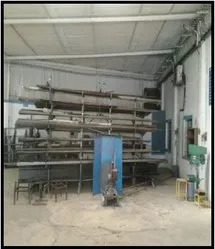 We have installed all the latest machinery in the manufacturing unit to fulfill the bulk of Castor Wheel Storage Rack Systems, within a stipulated period of time. Our team follows a very stringent quality policy in each and every sphere of our business. 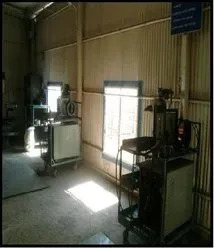 We have Invested lots of efforts and time to find a very reliable and trustworthy vendor base in the market, which helps us to obtain quality-approved raw material. We have hired a team of expert team of quality controllers, which checks the raw material. 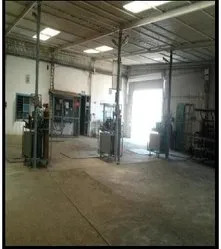 This team also vigils the whole manufacturing process of the Castor Wheel Storage Rack Systems to maintain consistent quality of the products. We have acquired reputation in the market for following an ethical business policy in every sphere of our operation. Our team also appreciated for transparent dealings regarding the range of Castor Wheel Storage Rack Systems. The spacious and world-class infrastructure of our organization is also helping us to meet the deadline defined by our esteemed customers.